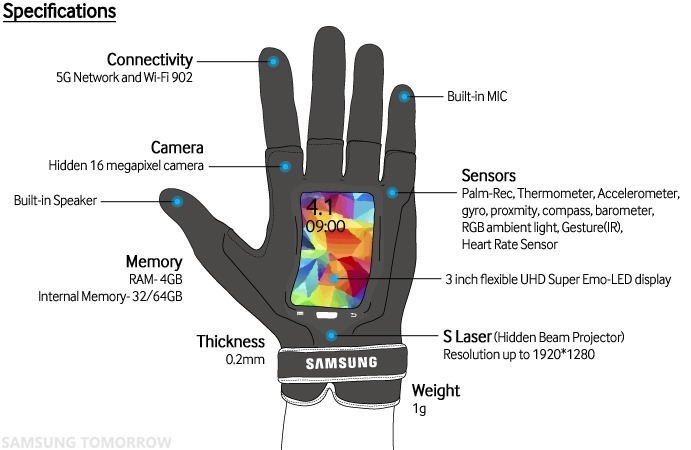 Samsung may have recently unveiled two smart watches and the Gear Fit, but the manufacturer isn't finished with wearables just yet. 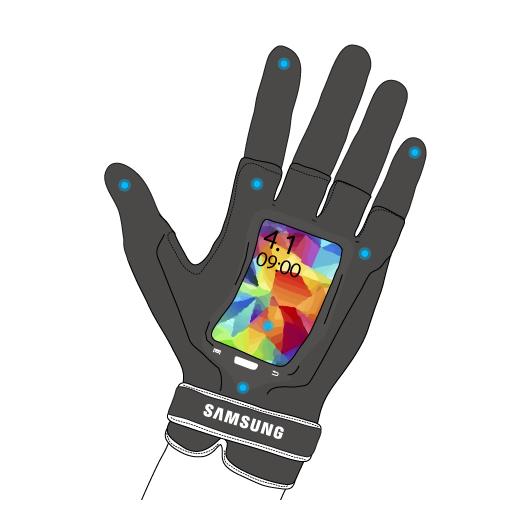 Tonight, in a post to Samsung Tomorrow, Samsung unveiled Samsung Fingers, a smart glove with features that truly revolutionize your hand experience. The device carries a Super Emo-LED display "for the technology-sensitive consumer," and a 16MP camera, along with Wi-Fi connectivity and a boatload of amazing all-over-hand features. Samsung is looking to fundamentally change the way people interact with one another with Fingers. When you're already in a conversation and someone else wants to join, you can simply have them "talk to the hand," recording their input on Fingers until you're ready to listen to it later. 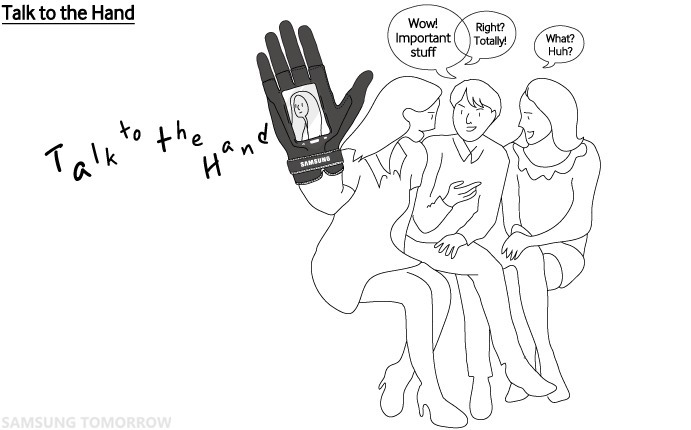 The world's first all-over-hand wearable also has palm recognition, whereby the smart glove can sense information related to what a user is holding, and provide helpful feedback on what the user should do with that object. Carrying a smoothie around on a hot summer day? 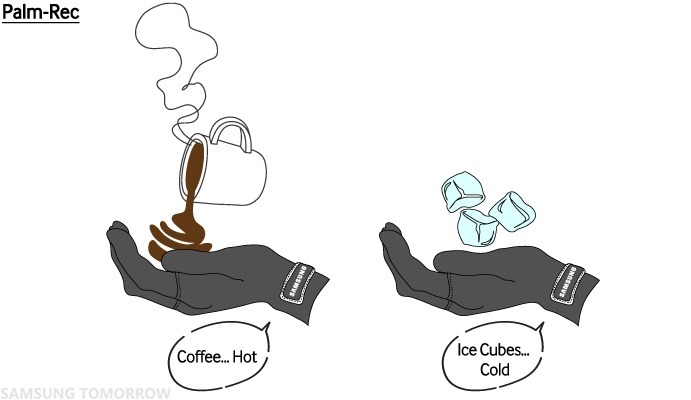 Fingers can help maintain its chilly temperature by manipulating potential and kinetic energy. What's more, Fingers features "Voice & Snap AMP" which helps users get attention, promising to amplify snapping or speech "to the point where it overwhelms other people." No longer will your important comments go unnoticed. 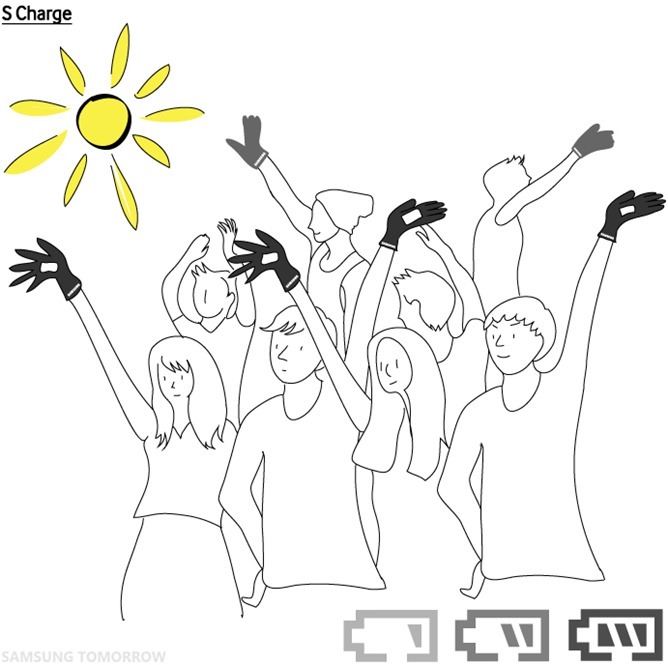 Besides all that, Fingers offers solar charging "by elegantly raising your hand towards the sun," along with phone gestures, "pull my finger" flatulence auditory reproduction, a laser pointer, fashionable glove variations, and more. To see Samsung's full (Fool?) announcement, hit the link below.